Lending speed: An ICICI Bank branch in New Delhi. Singapore: ICICI Bank Ltd, India’s biggest lender to consumers, plans to raise $11 billion (Rs43,670 crore) overseas in the next 12 months to fund its expansion plans abroad and accelerate the bank’s credit growth in the country, according to three people familiar with the plan. The bank’s fund-raising target amounts to $13 billion in the next 12 months, including $2 billion bonds it sold on 26 September, according to the sources, who did not wish to be named because the information is not public yet. ICICI will raise the money through loans, bonds, shares and overseas deposits, they said. ICICI’s funding target is about two-thirds of the $19.7 billion the bank has raised overseas since 1999 when it became the first Indian company to sell shares abroad. Mumbai-based ICICI Bank is adding to the $12.9 billion raised outside India so far this year by selling shares and bonds and borrowing from banks, as it seeks to fund growth in demand for loans. Charudatta Deshpande, a Mumbai-based spokesperson for the bank, declined to comment on the bank’s plans. Credit-default swaps linked to ICICI’s debt rose by 5 basis points to 135 basis points on Monday, according to HSBC Holdings Plc. A basis point, or 0.01 percentage point, is worth $1,000 on a swap that protects $10 million of debt from default. 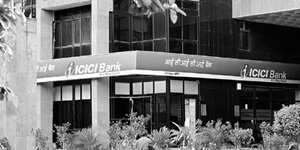 ICICI Bank raised about 83% of the $15.5 billion that the nation’s banks and finance companies funded from overseas sources this year, according to Bloomberg data. That total is 2.3 times the $6.6 billion they raised in 2005. ICICI Bank is rated BBB-, the lowest investment grade, by Standard & Poor’s and one level higher at Baa2 by Moody’s Investors Service, both global rating agencies.